Works Undertaken: Feasibility and planning, detailed design and tender plus contract and project overseeing. 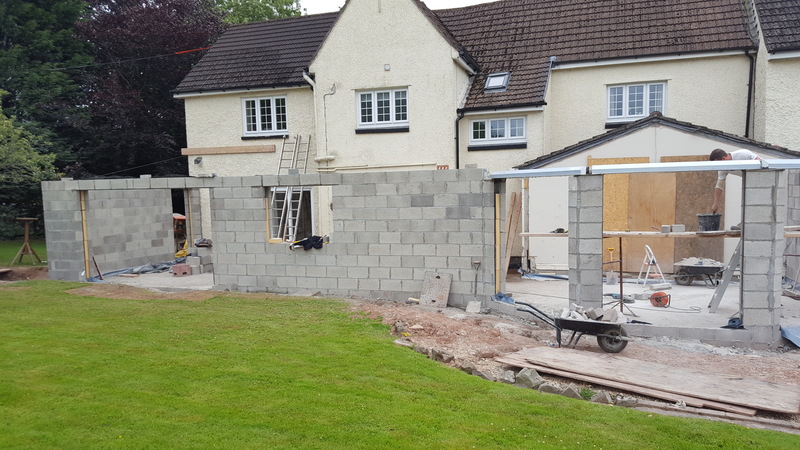 To create a contemporary single story rear extension, with enough room to accommodate a kitchen, dining space and family area. Also to add a side extension to make room for an office and library space. 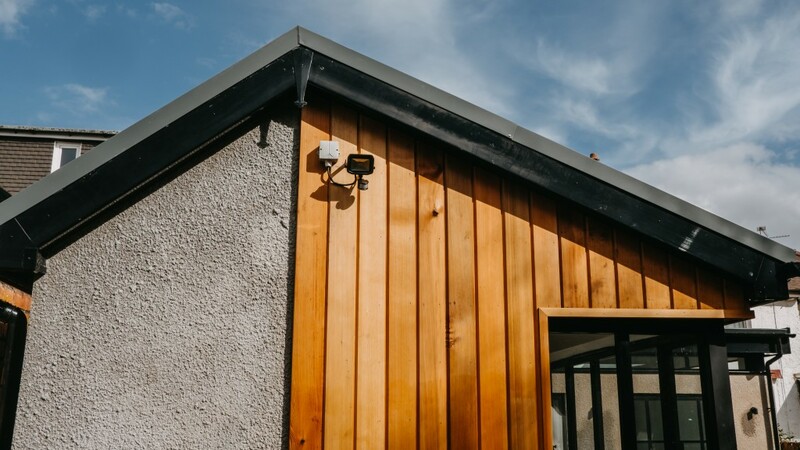 Unique Design Features – Once finished the exterior to the property showcases a beautiful white render contrasted against timber cladding. 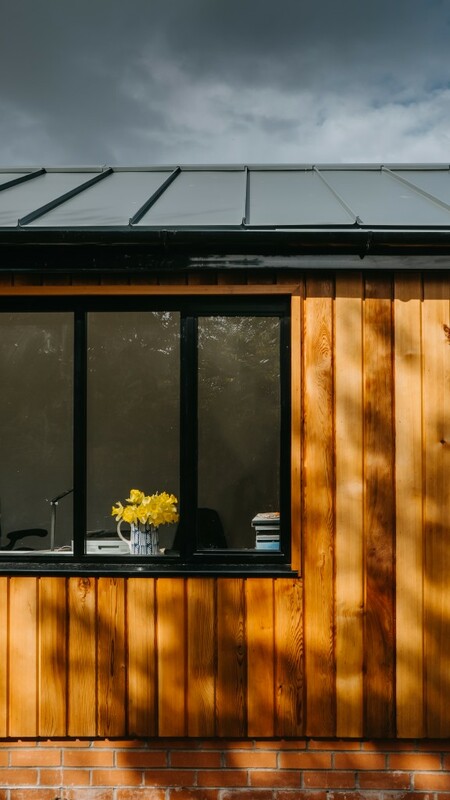 A wrap around window on the corner of the office side extension enhance natural light. 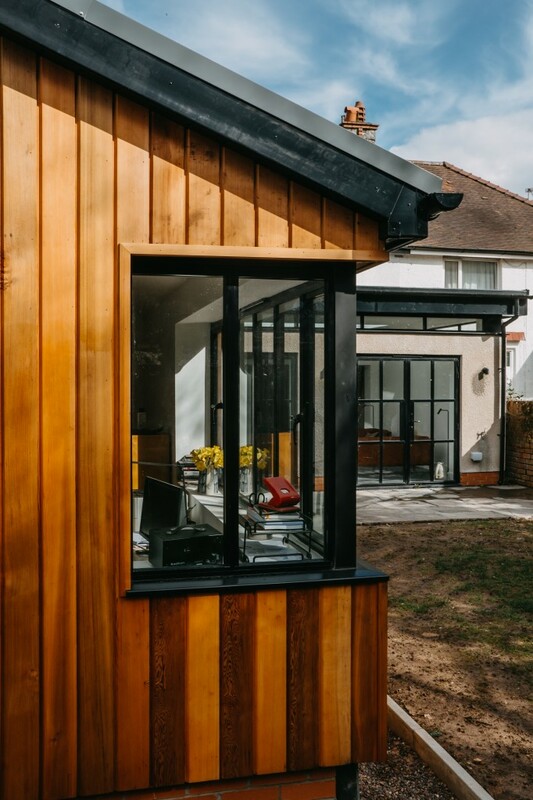 Crittall style doors frame the view from kitchen to garden and allow a smooth transition from inside to out and the addition of skylights and high placed windows spanning the width of the extension bring a bright and airy family space. Our clients contracted TLC Building Services to complete the work with ourselves overseeing the contract administration and project management. There is still a tiny bit more work to do before the propery is complete (namely applying the crisp white exterior.) However already we can see what an improvement the new living space has made for our clients. If you're thinking of embarking on a similar project, we'd love to get involved. Contact the team on 01633 744144 or email admin@ra-architects.co.uk. 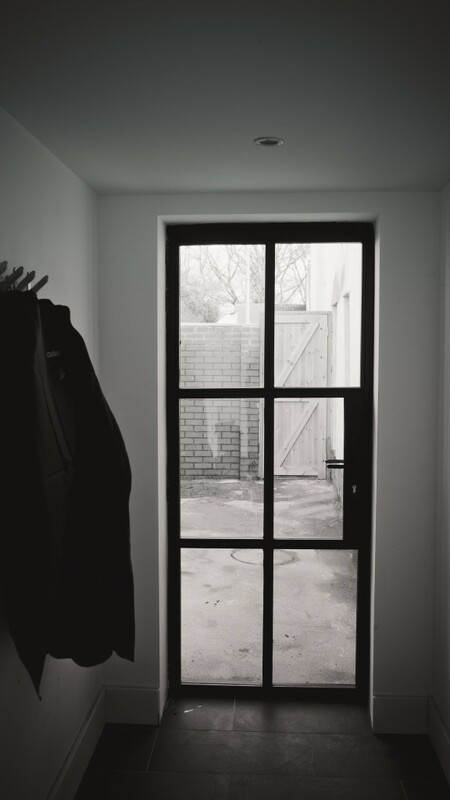 Following the last post in our ‘Design in winter / build in summer’ campaign, we’re back with the second instalment. 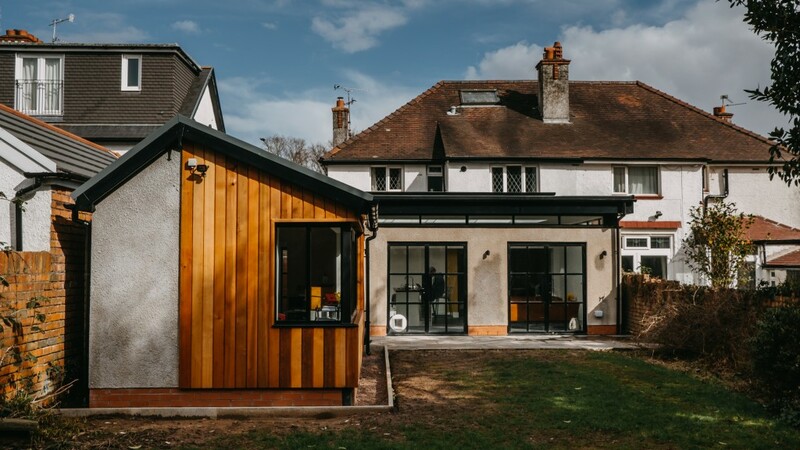 Showcasing one of our favourite residential extensions from the past year as a case study, we talk you through our three stages of work with step by step images from the initial design stage right through to completion. 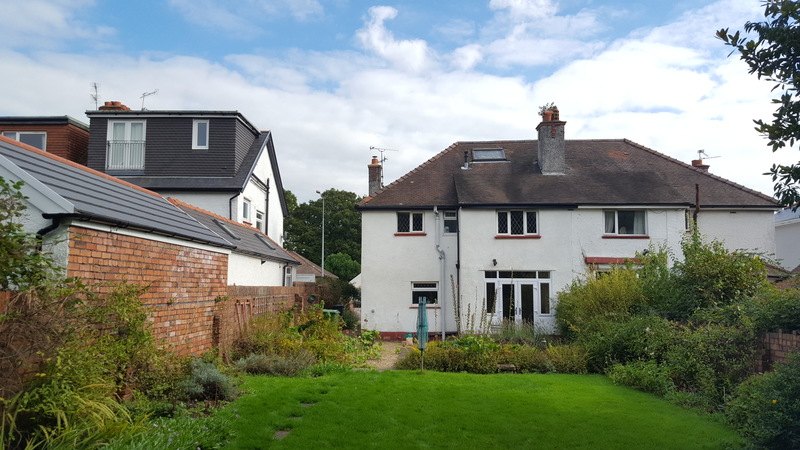 THE BRIEF: To create a new single story extension to the rear of the existing property for family room / kitchen space. 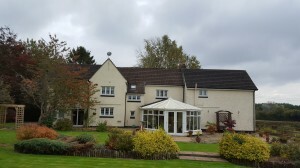 The exterior of the property prior to extension. 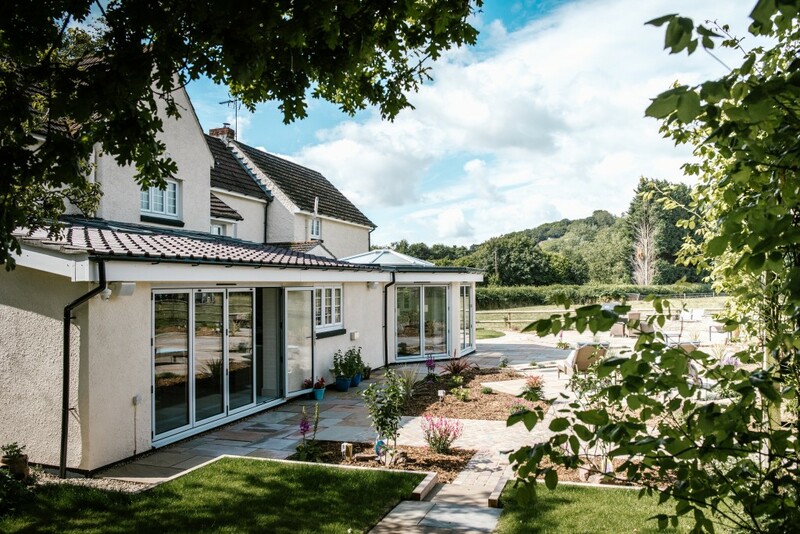 Our client wanted to create an airy and light cooking/ entertaining space that would maximise their views over the surrounding countryside. 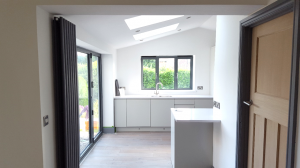 Following collaborative design meetings, we came up with a scheme that encompassed a large kitchen extension. 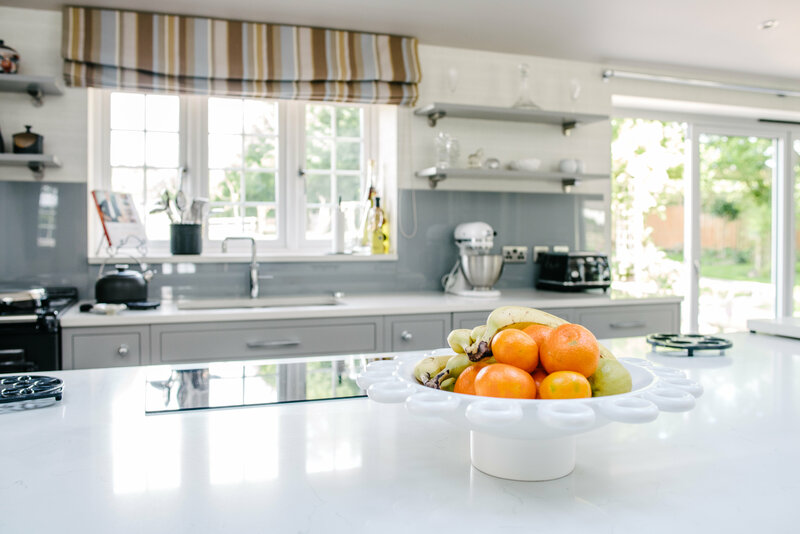 We allowed room for an island to act as a casual seating area and to provide further food preparation space – with a more formal dining area to the side. Opposite, we proposed a large orangery with an oversized roof light over a bright, relaxed, open plan entertaining area. Whilst Stage one is all about feasibility, planning and design – where we work with our client to produce a number of design options for their project and supporting them through any planning applications, stage 2 is where we apply our detailed understanding of construction and regulations to the drawings, to provide a comprehensive package for builders to work from that meets all the requirements set out in building regulations. 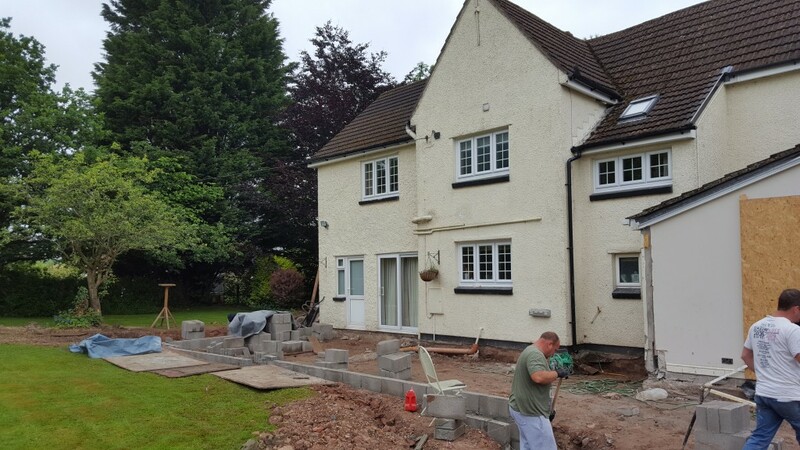 For this project we administered a tender package to several building contractors to get the best price and quality for the build works. In this instance our client chose to work with Tim and his team at TLC Building Services. With TLC Building services now on board, we administered a contract between them and our client. 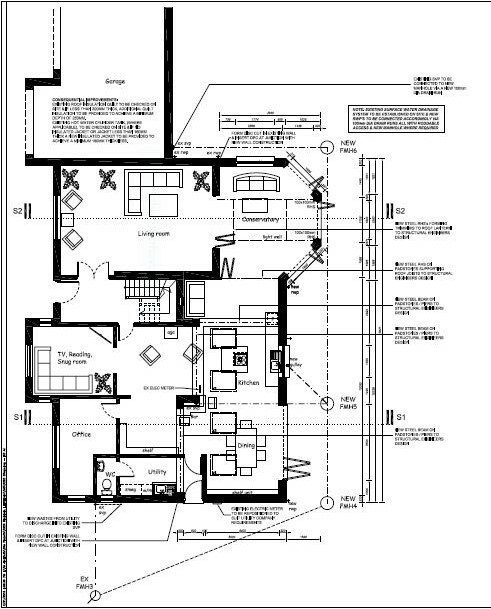 This contract was based on our detailed drawings, our understanding of construction laws and contract negotiation. 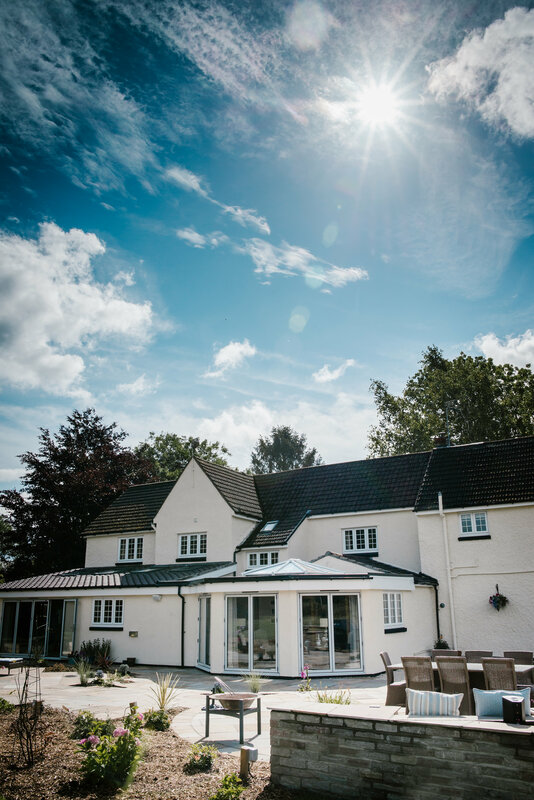 We oversaw all the building works onsite to ensure the work was delivered in line with our drawings, regulations and was the standard allowed for in the original tender. 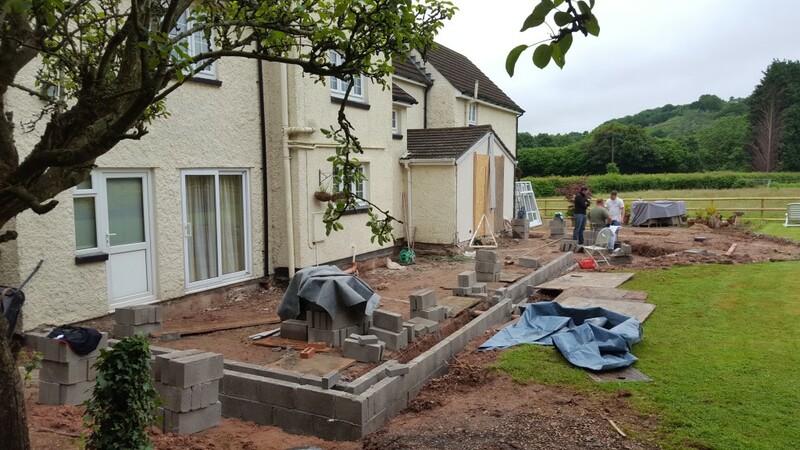 The building contractors began to dig the foundations for the new extension to which the drainage, pipework and any other services needed to be laid. All work required signing off from a buildings control inspector, following which the concrete footing needed to be poured into place and again approved by building control. Next, the builders turned their attention to damp-proofing. 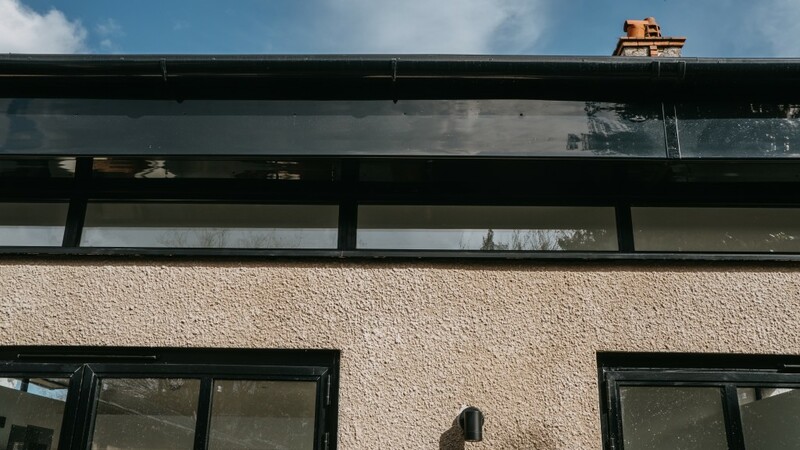 This can be achieved in several ways, such as through a damp-proof course, damp-proof membranes or integral damp proofing. Following this step is an exciting stage where we see the framework of the new build coming to life. Below we can see the creation of the block and brickwork, with wall ties fixing the walls together. 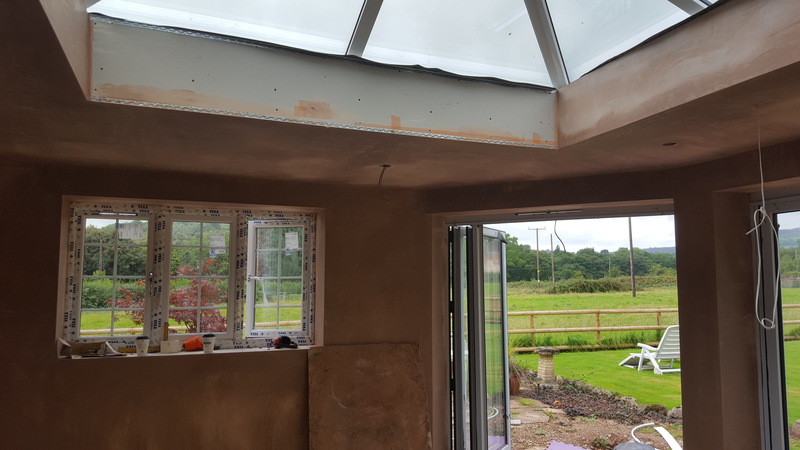 The contractor was busy making sure that the cavity walls were insulated and that the lintels for doors and window spaces were fitted correctly. 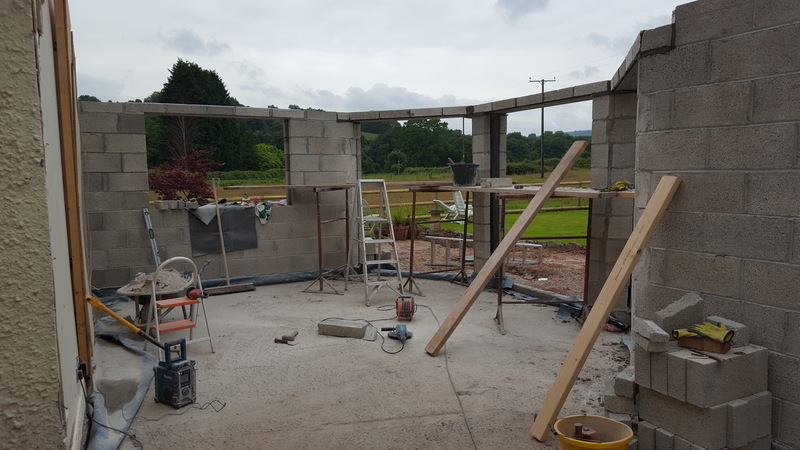 Following which the builder began to assemble the internal walls and lay a floor screed. At this point the contractor constructed the roof structure and completed the rafters which were fitted with membrane and covered with our client's choice of material – roofing tiles. 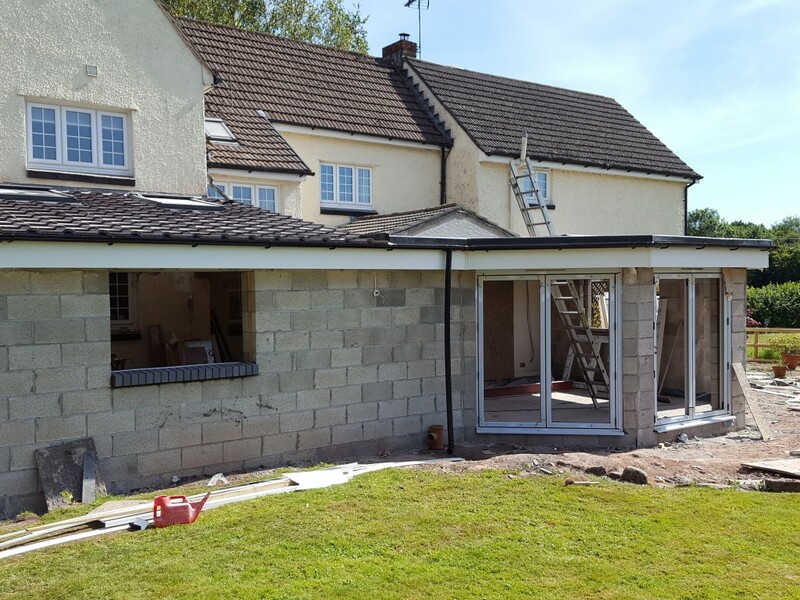 The contractor also started work on fascia’s, guttering, drainpipes and soffits. The next step was to add the doors and windows into the framework, complete the internal plumbing and electrics. 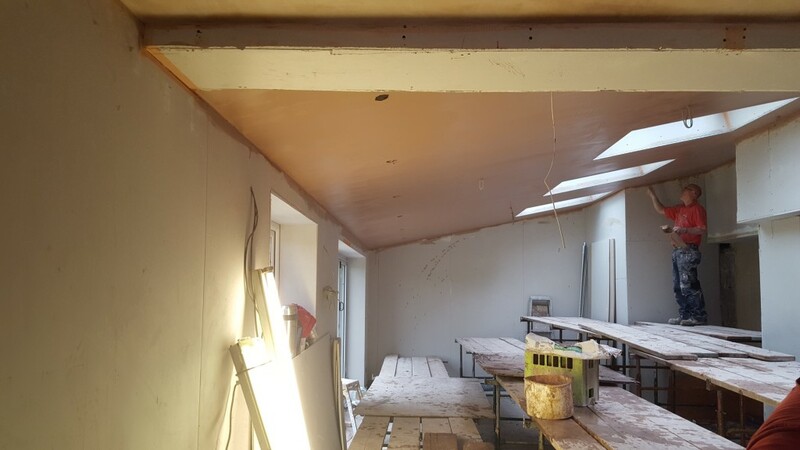 It was at this stage where stud walls were erected and internal insulation fitted before plastering. 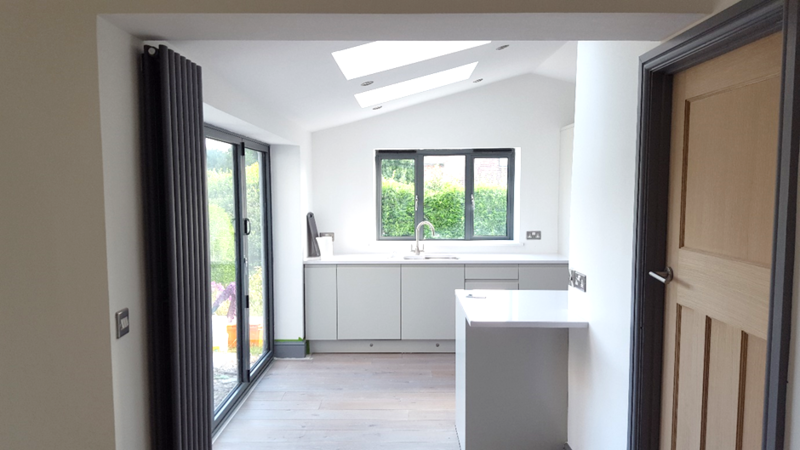 Following this stage, the new kitchen and flooring was also completed. 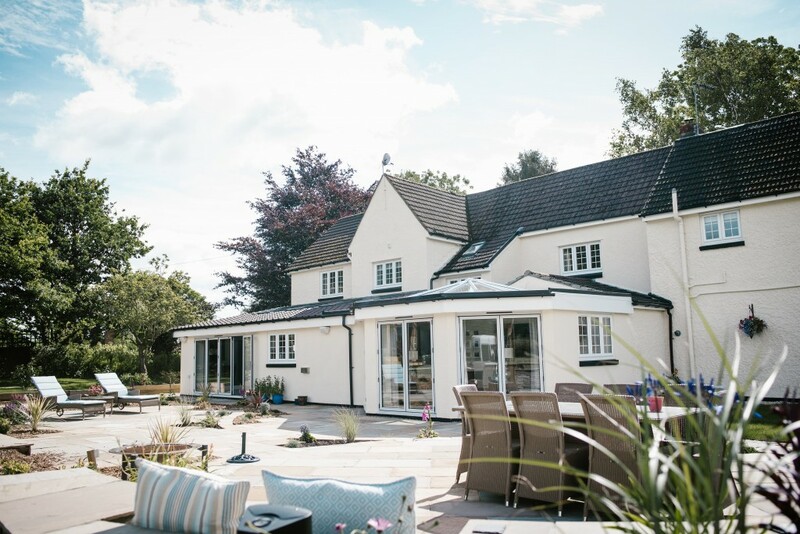 Our client chose to render the exterior of the property to match beautifully with the original part of the house. With building work completed our clients received a final certificate of approval from the building control officer. After which all that was left to do was relax and enjoy their new space! 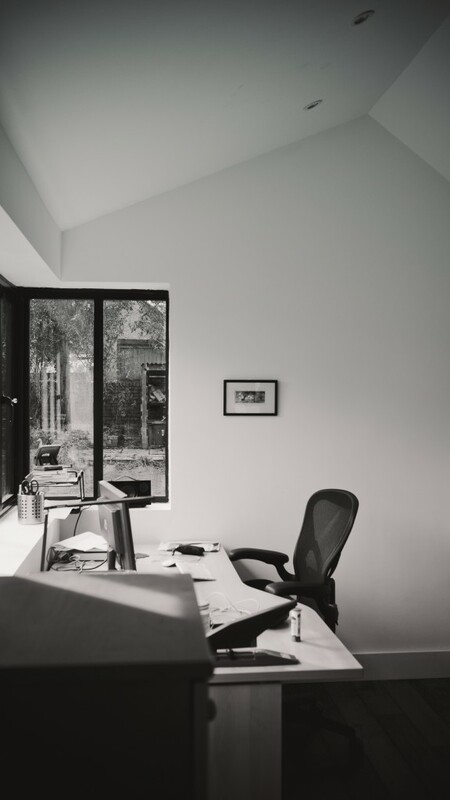 ‘I found RA Architects through a Google search and took a chance as the business was pretty new. I was immediately impressed by Richard's professionalism and his ideas. 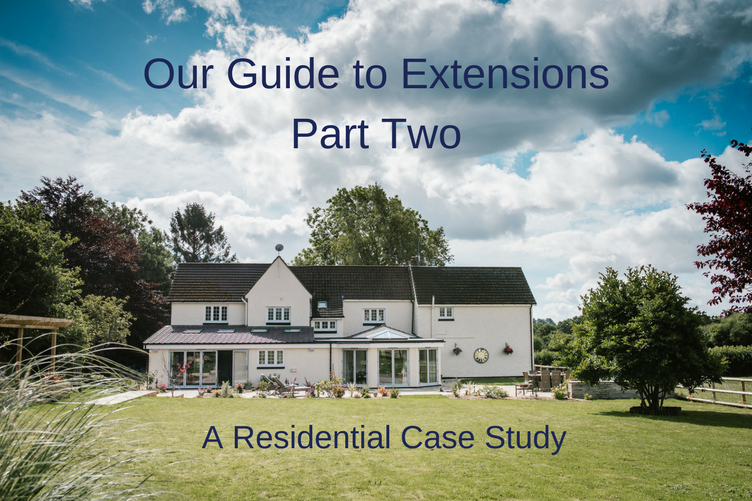 He listened to how we wanted to use our extension and came back with a number of options to talk through. 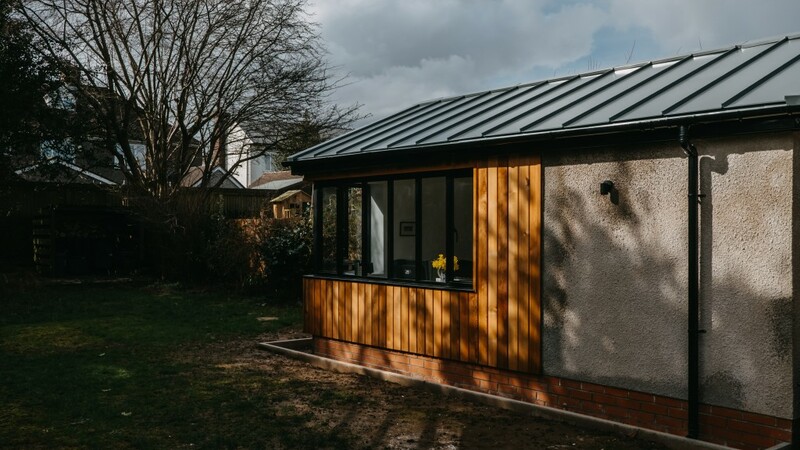 Once we had agreed a design and a cost Richard and Lewis took away all the pain – they drew up the planning application produced the tender documents and sourced a number of contractors for us to meet and submit a tender. 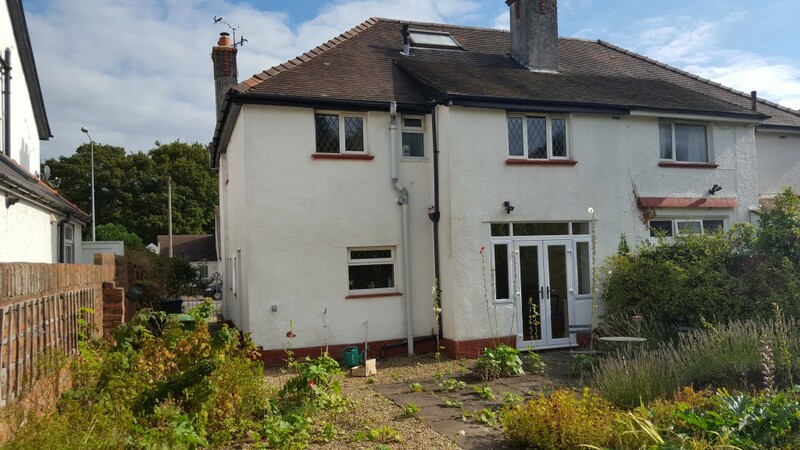 It was reassuring to know that the people tendering were approved by Richard and had all the necessary insurances and track record in place. 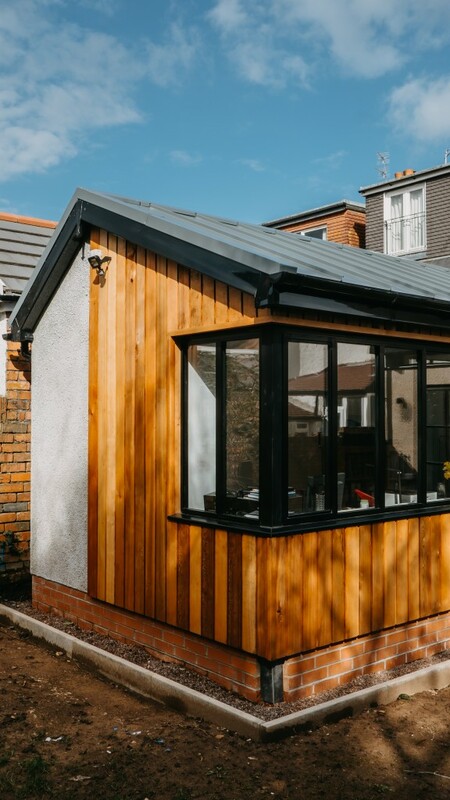 We decided upon TLC Building Services in Cardiff and we couldn’t have been happier. Tim and his team were the perfect fit for us and we would have no hesitation in recommending them to anyone. They worked tirelessly to build an extension we love and did so in good humor- they were a joy to have around. Richard and Lewis visited at regular intervals to inspect the project, again taking away any stress. We genuinely love this type of work as to make someone’s quality of life better, truly is the passion behind our practice. If you have a similar scheme in mind please do not hesitate to contact us on 01633 744144 to book a free 1 hour consultation. 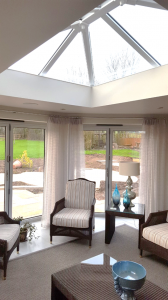 As you may have seen on social media, we were recently visited by Rob of Glazing Vision who gave a great seminar on how to ‘Unlock Light, Air and Space’ through roof lights. 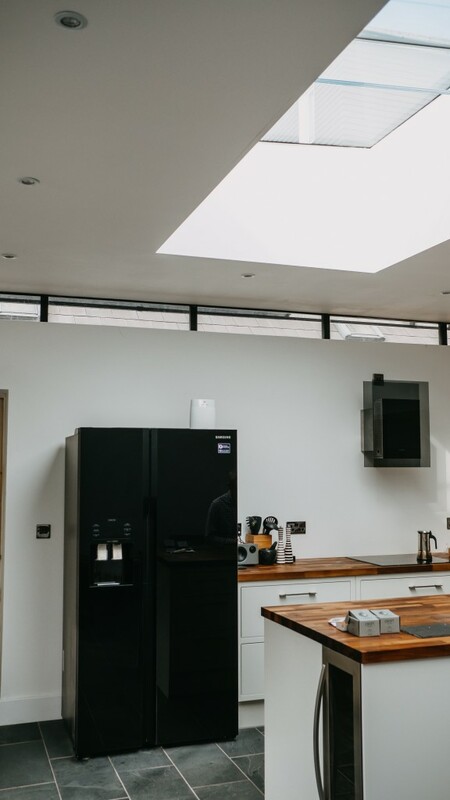 We were left really inspired by the talk and thought we’d pass on our top three reasons why we encourage the use of roof lights in our projects too! 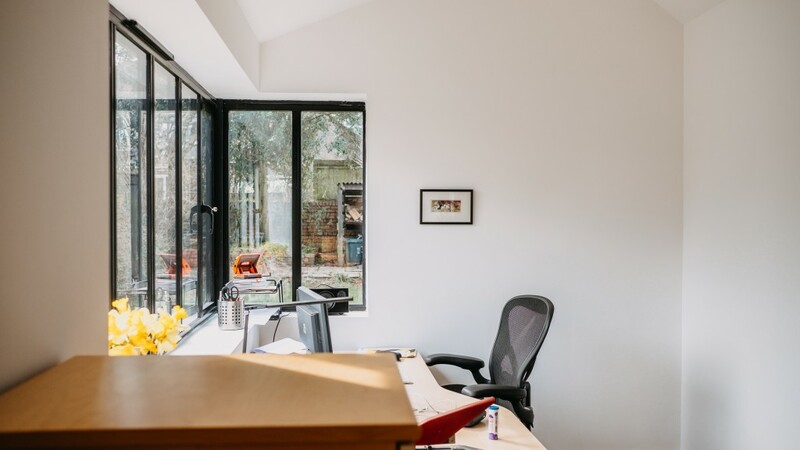 It’s well documented that being exposed to natural light has big benefits for our wellbeing. Not only has it been proven to boost morale, it also lowers fatigue and reduces eye strain and headaches! This is great news for the workplace especially as it means absenteeism is lowered whilst productivity is higher. There have even been studies that demonstrate how shoppers will stay longer in malls and that patients may even recover quicker in hospital! 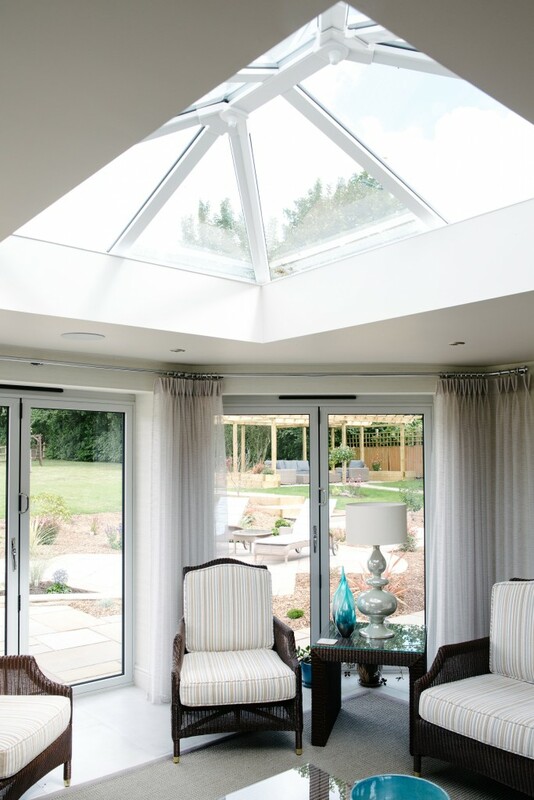 Did you know that roof lights let in two times the amount of daylight versus vertical glazing! The transmission of more natural light into your room also means less electrical lights are switched on thus contributing to lower running costs for your building. 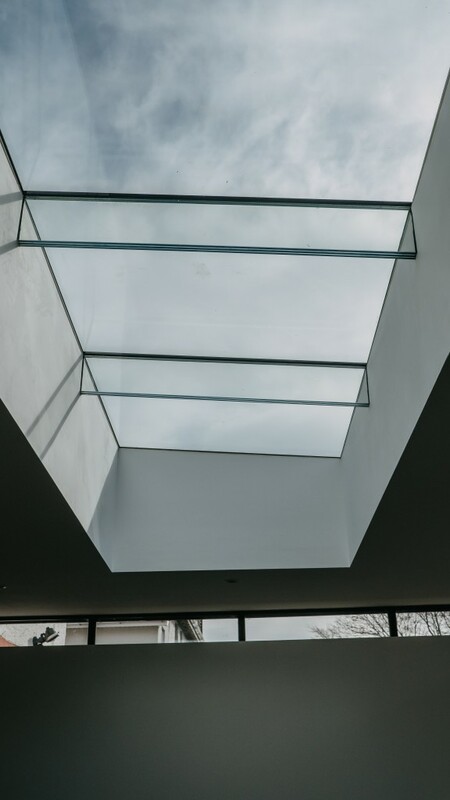 A properly installed roof light can enhance your thermal comfort meaning a better night sleep – something everyone needs! 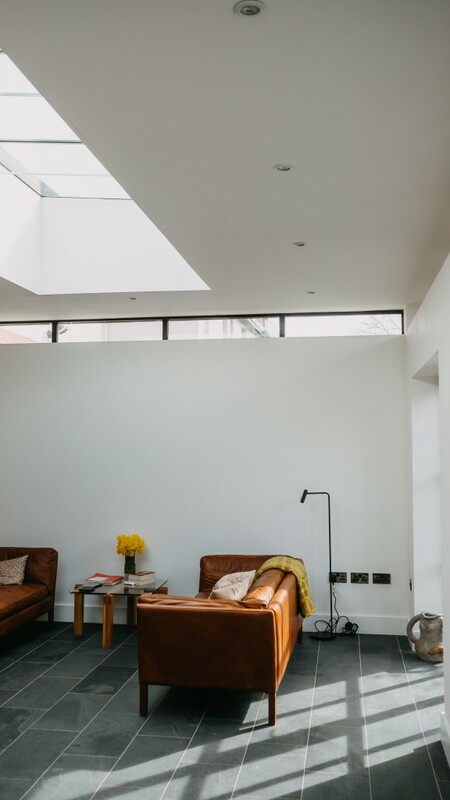 Roof lights (by removing heat and other pollutants) can improve your air quality and provide natural ventilation. All big pluses in our book! 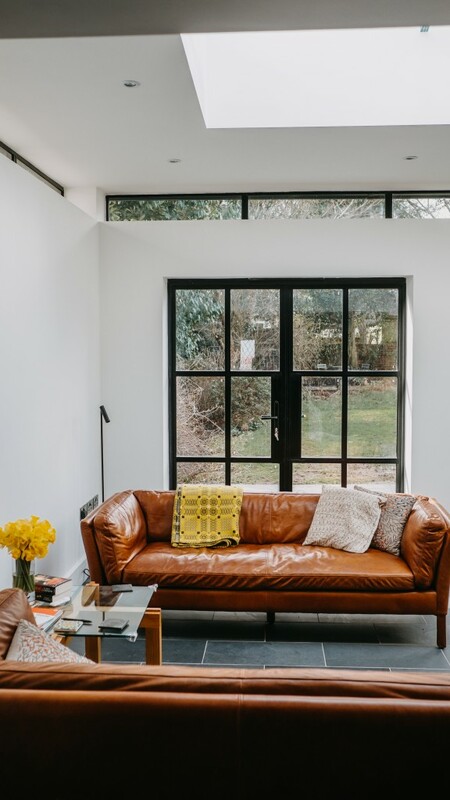 We hope you enjoyed this article, if you’d like further inspiration to spark your project our pinterest board is bursting with cool ideas! 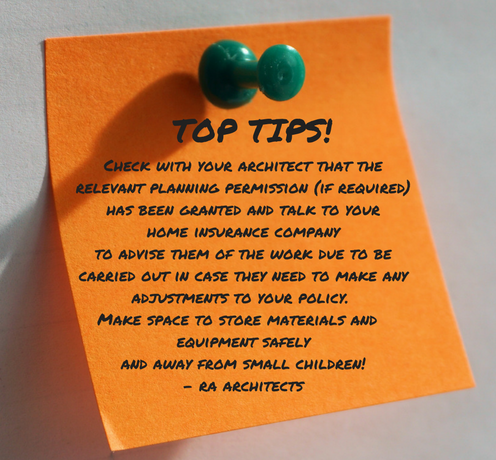 We're also offering a free 1 hour local consultation to discuss your project, call the office on 01633 744144 or email admin@ra-architects.co.uk to book!